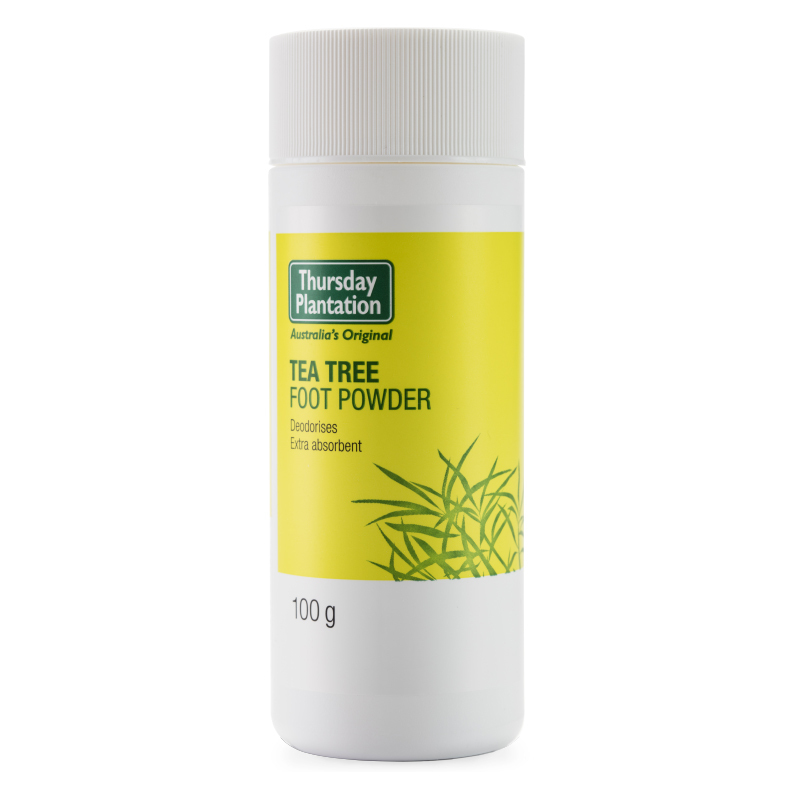 Keep foot odours at bay with Thursday Plantation Foot Powder. The 100% naturally derived powder helps to keeps feet dry, sweat free and odour free. Contains corn starch to prevent excess moisture by absorbing perspiration, leaving feet dry and comfortable. Free from synthetic parabens, mineral oils, petrochemicals, propylene glycol, lauryl sulphates, polysorbates, synthetic fragrances, synthetic colours, synthetic preservatives and animal derived ingredients. Use daily on dry feet especially between the toes. Sprinkle into shoes and socks for continued protection. Zea Mays Starch, Magnesium Carbonate, Melaleuca Alternifolia Leaf Oil, Fragrance/Parfum, Citral, Limonene.